thank you for visiting us. spotted at the designboom mart: anna wintour, editor-in-chief of american vogue ! li edelkoort (left) and toshiyuki kita (right) among the designboom mart visitors images © designboomand our friends from brownbook magazine, the publishers rashid and ahmed bin shabib. for the 7th time designboom hosted a group exhibition of international design professionals from around the world as part of the cultural program of the tokyo designers week 2011. at our famous market exhibition, visitors are able to meet the young avant-garde, discuss and buy self-produced or limited edition pieces directly from the designers. designboom marts are an unprecedented opportunity to meet the young designers and become familiar with their work. 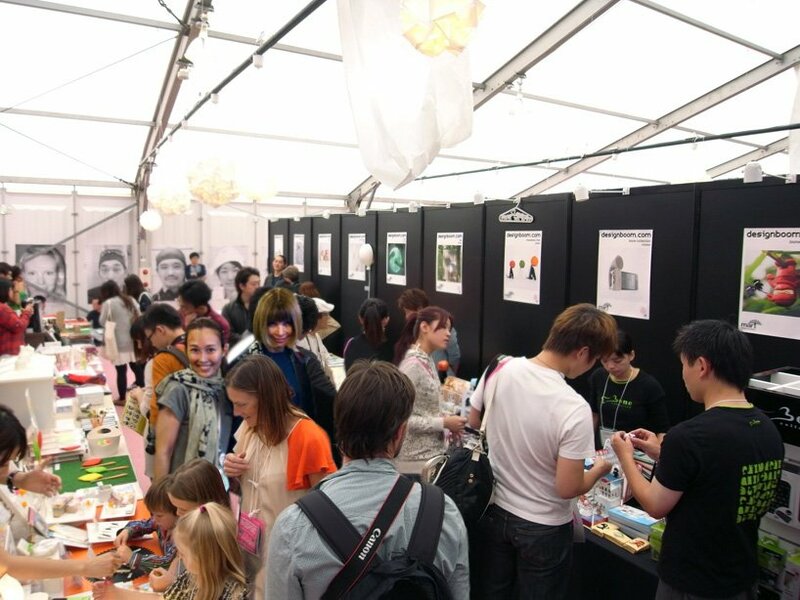 the group exhibitions see international design professionals personally presenting their wares. (prototypes and/or limited edition pieces) along with, various-samples. the designers have the opportunity to meet and discuss with customers, manufacturers, distributors, press and museum curators – verifying their designs and their packaging credentials. mart visitors can purchase intelligent, useful and quirky items for a symbolic price, anywhere between 1,000-10,000 JPY. business following their participation in designboom marts. south-african designer heath nash with three super-size shopping bag lights, created especially for the tokyo designboom mart. nahoko koyama of noa design while hanging her light installation over all mart tables. the mart is all about ‘selling design originals’, and at the same time, a fantastic way to promote yourself! it is also about socializing, making friendships, meeting new people from different countries, etc… the designers have direct contact with clients and receive immediate feedback about their products on sale. popular street market setting, making up the cultural program of trade fairs.